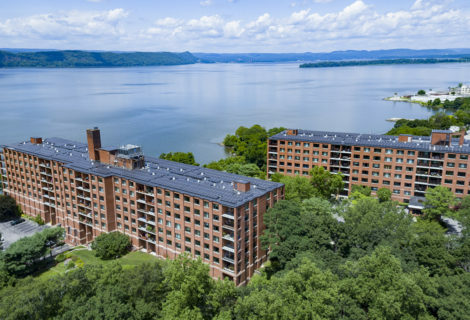 Woods Edge Apartments is an affordable housing project located in Hempstead, NY. 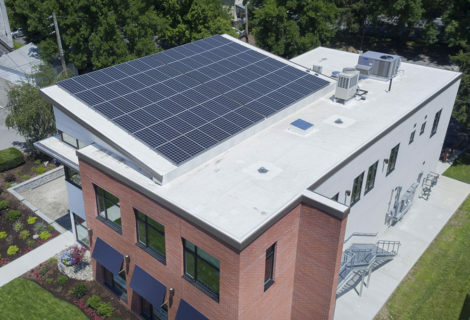 When developer & managing agent Wilder Balter was planning to re-roof the building, they realized it was the right time to consider a solar installation and brought Sunrise in to engineer and eventually install their system. 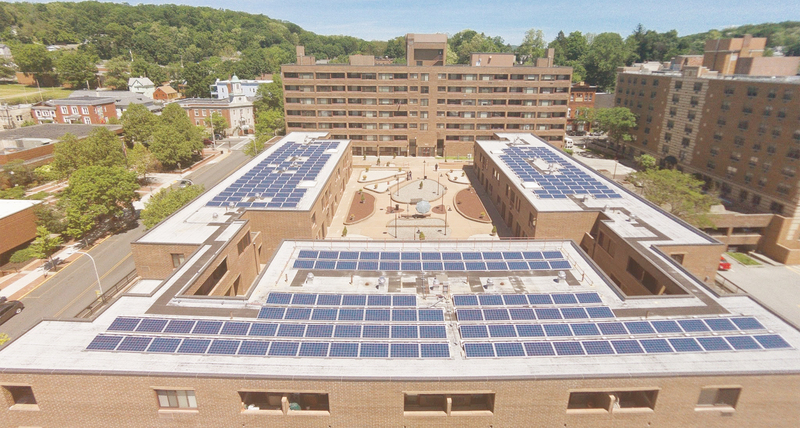 Sunrise designed a system to maximize the available incentives, which at the time included the LIPA Solar Entrepreneur program, the Federal Section 1603 Grant in Lieu program, plus bonus depreciation. 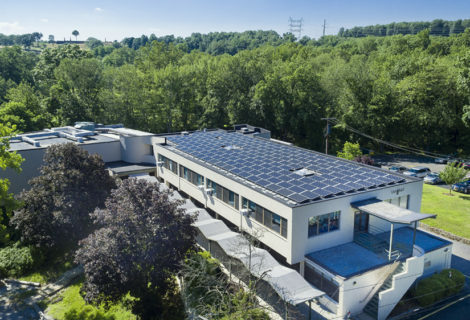 With the incentives and financing in place, a 50KW PV system was built. 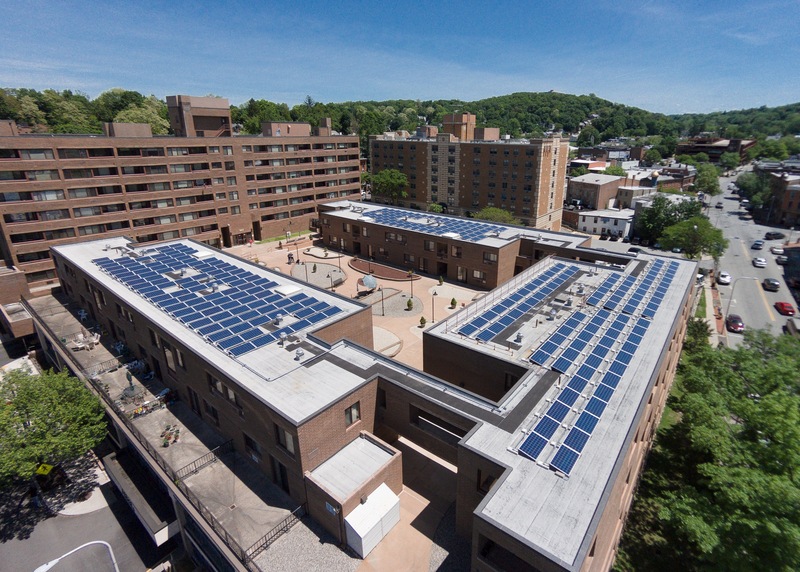 The system, which was commissioned in the summer of 2011, is producing over 60,000 kWh per year and has already paid for itself. The design posed some challenges for the Sunrise team. Being so close to the Atlantic Ociean, the system is located in a 120 mph wind zone. Coupled with height of the building and the age of construction, at typical fully-ballasted system could not be used. 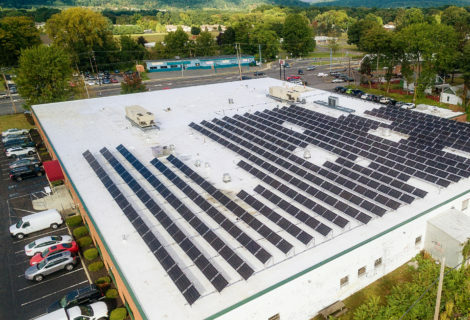 Sunrise worked with their project engineer and racking company Panel Claw to develop a hybrid ballast/attached system which stayed below the limited weight loading of the roof while still meeting all wind requirements. The system has now been through two hurricanes and numerous other storms and is working perfectly.